It is our intention to provide the best possible service to our customers. The software is subject to a steady on-going development and improvement. We will forward specific requests or requirements for additional features to our development team. Active customers with a valid MUS agreement can download from our website helpful information, job examples, programme releases. Officially released updates will be forwarded by us. Support covers English and German speaking hotline, either by phone or email. Our CHEMCAD experts, with years of experience, will be at your disposal. Support is subject to an active MUS agreement. You will be trained thoroughly in the use and application during our frequent seminars for beginners and advanced. After a 2 day seminar for beginners you will be able to run CHEMCAD and take benefit from its application in your projects. 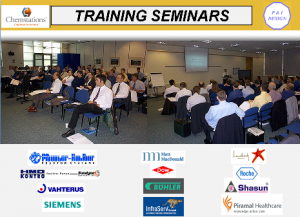 On request we can provide Webinar or seminar training at your company according to your special needs. Topics can be mixed to suit requirements.